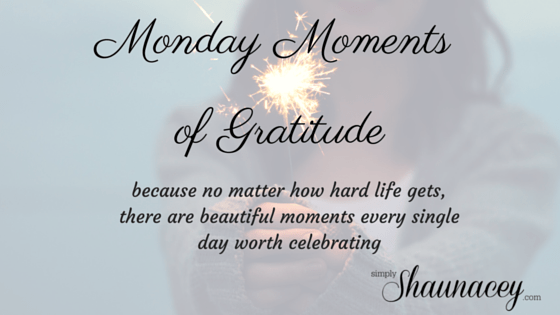 Joining Simply Shaunacey for another Monday Moments of Gratitude, a place where we are intentionally grateful for the little things in life. 1. Ahhhh…vacation! If you follow me on Instagram you know that we were in the Keys last week for spring break. It was providential that my husband had a work trip the same week as my kids’ break and it was a no-brainer for us to tag along! We had the BEST weather ever! We usually go to the Keys in the summer (again, related to Michael’s work) and oh my, what a difference it was going in the spring! Last week I mentioned we were going and that we were going to eat all the Key Lime Pie we could. I even had some key lime pie drinks! My favorite was the frozen-on-a-stick one dipped in chocolate. 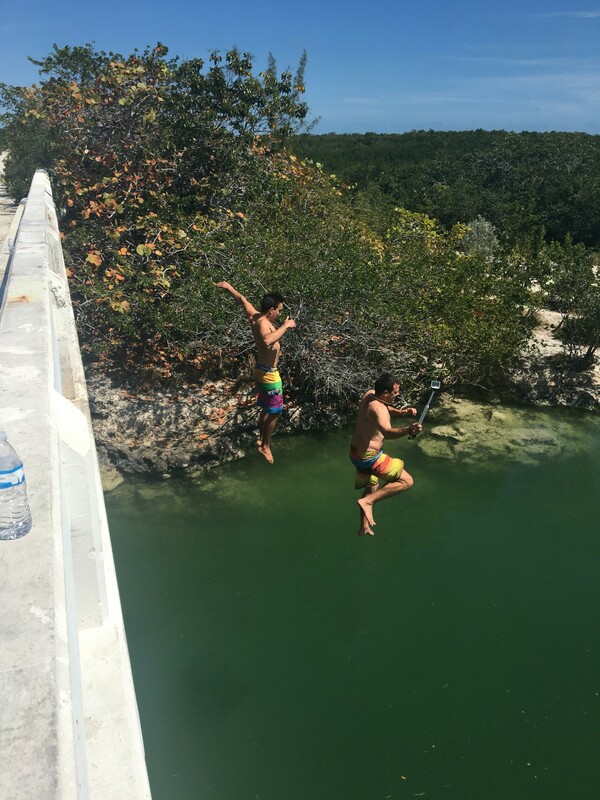 Timothy found out about this jumping bridge on Reddit so of course we had to find it. 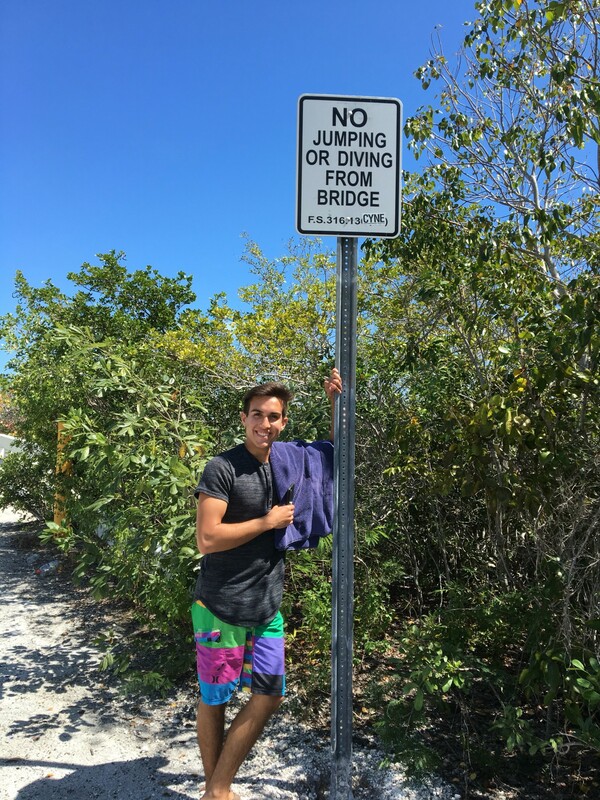 (As a rule-follower this sign bothered me a lot knowing what was about to happen…) Michael jumped too. Annie and I took pictures and videos. 2. Adult(ish) kids. Our trip to the keys was so much fun with our 15 and 18 year olds. (The 20-year-old already had his spring break.) They enjoy eating good food in nice restaurants, don’t mind long car rides, and got along well. We had fun chatting and just hanging out. It’s fun to actually enjoy their company as people! 3. A funeral. Is it weird to be grateful for a funeral? 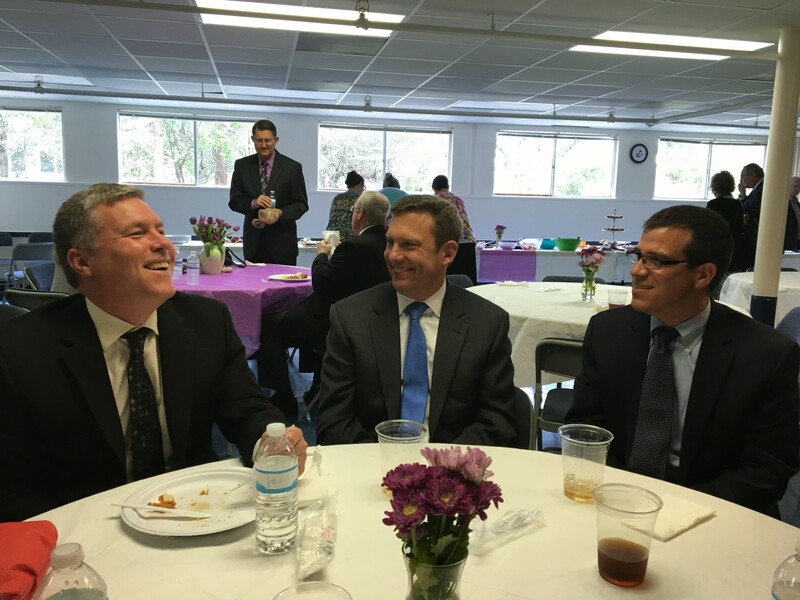 It was our friend’s father’s funeral and I’m grateful we were able to hear the stories of a long life (95!) well-lived. These guys have been tight friends since we moved here 16 years ago. 4. Yard work. We have a master plan for updating the backyard from a kid’s playground to an adult oasis. The front yard has received a face lift with new plants and mulch and now we’ve moved on to the backyard. We added this flower bed. Next on the project list is raised garden beds. 5. Sundays at nonna’s. My mom hosted lunch at her house as she does just about every Sunday. My big kids left for a leadership retreat the day after we got back from the Keys so it was just my brother’s family, Michael and I, and my parents. A small crowd by usual standards but the weather was lovely so we ate outside al fresco. I love this weekly tradition! 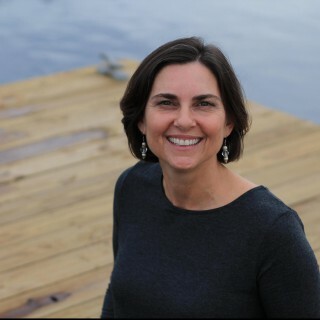 Be sure to join us on Wednesday for The Blended Blog’s Style Perspectives. We’ll be styling a patterned blouse with neutrals. Show us your stuff on IG with #theblendedblog. If you are a blogger, link up over at the Blended Blog. Impromptu dates for everyone this past week!! Love all these moments, look like you guys have such an amazing vacation!! I noticed that too! It was a fun one! Glad we got to do it! Yay for fun vacations to relax and recharge!! Key Lime pie is my favorite, YUM!! I like KLP too but my husband LOVES it! I made one for him tonight. Have only visited the Keys once, for Brennyn’s wedding, but could envision myself living there in a colorful cottage by the ocean. Your desserts look sinfully delicious. Love the under-the-pergola lunch spread, the oil cloth or canvas tablecloth is pretty enough to be a mural or wall paper. I am so jealous that you have family near enough for date nights out. My brother in law was married in the Keys too!! Oh they were pretty sinful alright! !